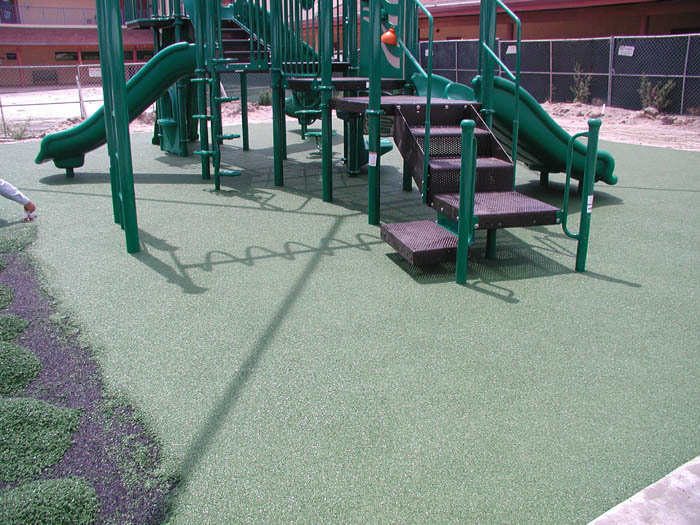 Poured in Place Rubber surface consists of a recycled rubber base and an EPDM rubber top coat mixed with a Polyurethane primer and Polymer binder. Cost per square foot is determined by thickness, color, area size and design. Best installation to be poured over hard flat surfaces.